One might put the Larry David doll next to Woody Allen doll on the shelf, if one was trying to clean up and organize one's collectibles – even though the Woody Allen doll was made with plastic and hand-sewn doll clothes in 1977 and the Larry David doll was made with rubber in 2009. But it turns out that if you put the Larry David man in a Woody Allen movie, it is very hard not to pay attention to their flaming differences. As someone said - don’t judge the performer, judge the performance. But if I judge the Larry David performance in this Woody Allen movie, everyone loses. If I judge the performer, Larry David, then Larry David wins. Who knew? When Larry David is playing Woody Allen, he plays a physicist genius who is wise to (through his superior intellect) the meaninglessness of the human condition - as though, in the 21st century, only a genius (and a physicist??) could entertain a vision of this nature. The meaninglessness that LD as WA has to contend with is epic and profound. He also fights with imbeciles, homophobes and religious fundamentalists. He does his best to cope. The character's stance as enlightened-nihilist-filled-with-despair seems like it's from another time, like, another time from a long time ago, especially in forced comparison to the Larry David who created Seinfield and Curb Your Enthusiasm, a man who gleefully pours sugar on his meaningless breakfast cereal and rubs his hands together with delight before digging in. 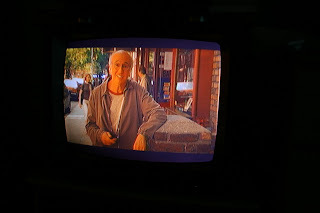 When LD is the LD character on Curb Your Enthusiasm, he fights with children, kindly doctors and Ted Danson – all of whom are a little bit smarter and more morally developed than old LD. It is the others who do their best to cope with him while he dances to escape their frustrated clutches and exasperated glares. LD as LD passionately takes up positions on matters of the pettiest nature. His joy in this endeavor cannot be hidden and his pleasure at playing the villain is transparent. Seeing Larry David play the Woody Allen character reminds one that the Woody Allen character is always the hero, no matter how flawed. Man-impressions aside, the most damning problem regards the old fourth wall. In the opening sequence the LD as WA points out the camera to his dumber-than-him friends and talks about the viewers at home watching them. Of course, no one else can see the camera except for this genius. Now, playing the (now simple) breaking-the-fourth-wall game with LD can make a director look pretty silly. 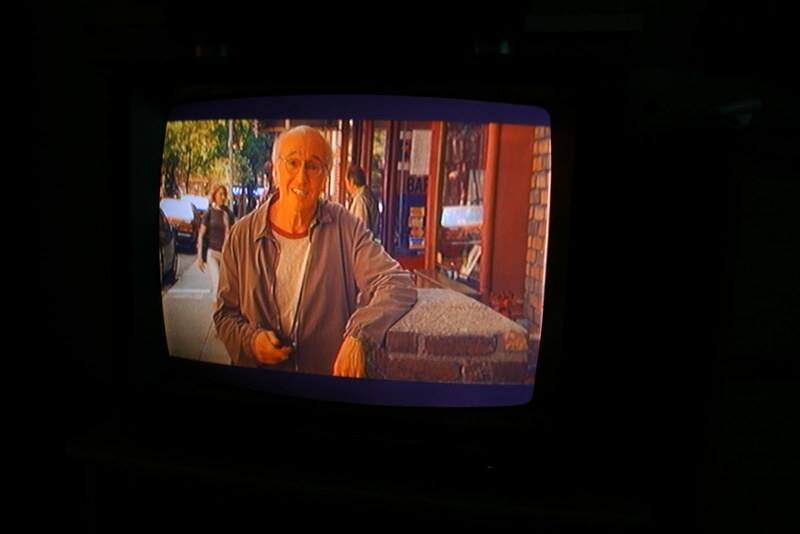 Maybe WA talked directly to the camera while inside a fictional narrative while LD was in diapers (or at least.. um, in business school) but somewhere around 2009, on the set of Curb Your Enthusiasm, near the end of the season, LD as LD strolled past the forth wall and the fifth while whistling a bad tune and waving at Andy Warhol. Andy Warhol didn't wave back. Larry David kept smiling. Maybe if LD walked around talking about what a genius he was, he wouldn’t have run into a problem like being in this movie and making Woody Allen look bad. I read this movie as Woody Allen lampooning all the classic Woody Allen tropes. The over-exaggerated genius bit, the predictable reluctant near underage affair, and the more relentless than ever pontification about religion and nihilism seem to back this up pretty solidly (or at least, I want to believe that it does). Even the movie title/apparent moral of the movie seems to be a joke at the expense of similar themes in his earlier movies.